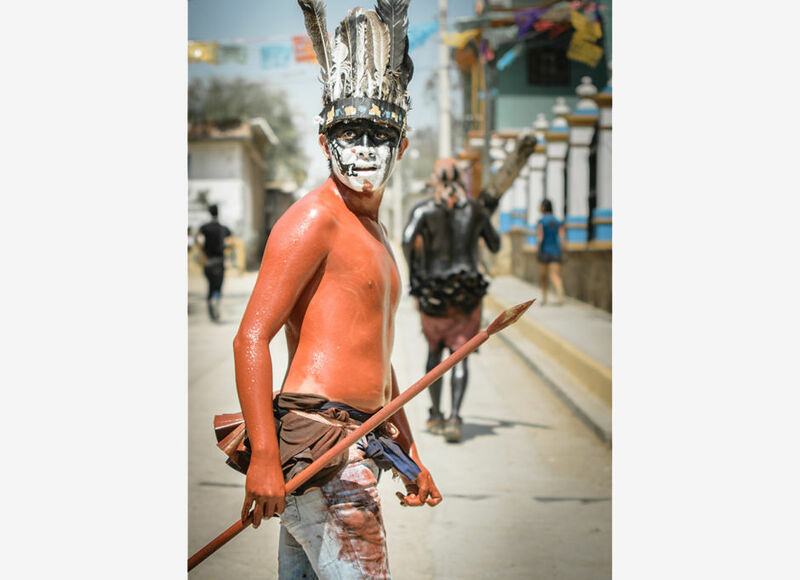 I learned about the existence of the carnival at San Martín Tilcajete from a bunch of pictures I came across just a couple of years ago. 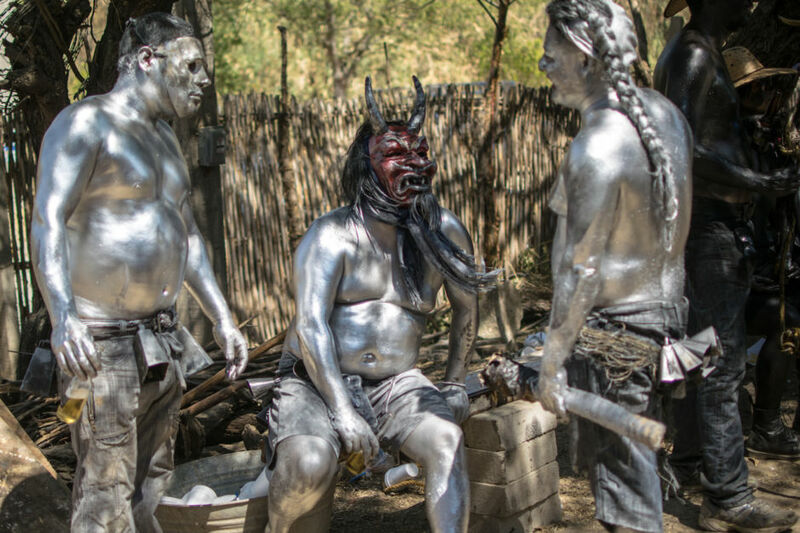 The faces portrayed in those pictures were impressive: men, women, and children characterized as demons and other weird entities with costumes made of oil, paint, and pieces of carved wood. The result was magnificent, even a little macabre, and it didn’t look like anything I’ve seen before. 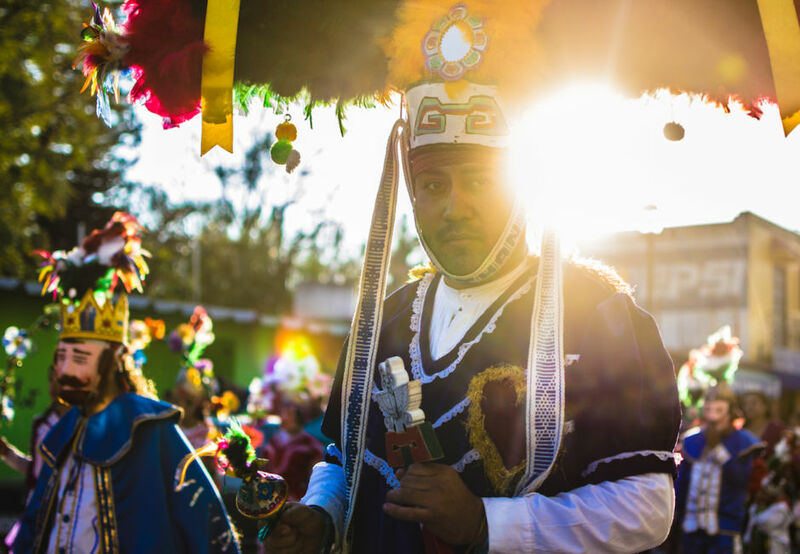 This year I decided to make a trip to Oaxaca during carnival week and witness this parade with my own eyes. San Martín Tilcajete is a small town less than twenty miles from Oaxaca City. 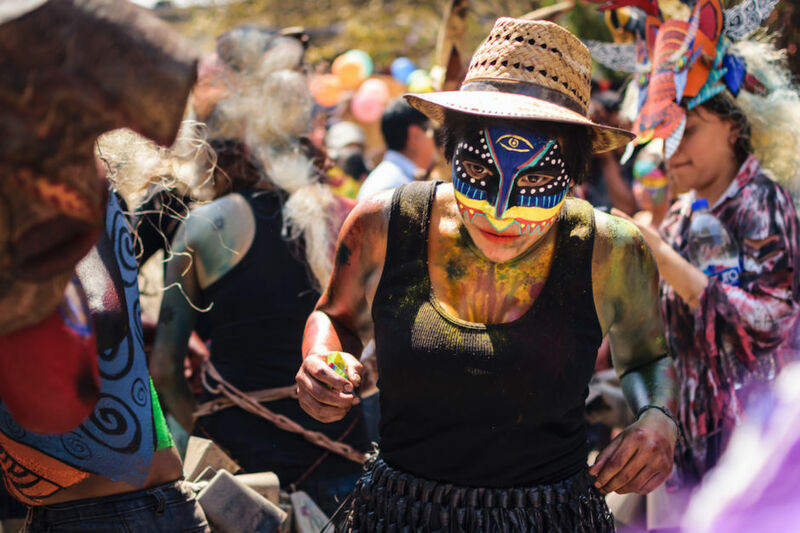 It’s in the so-called Ruta de las Artesanías (the craftsmanship route) and is widely known for its alebrijes (traditional sculptures portraying fantastical animals). 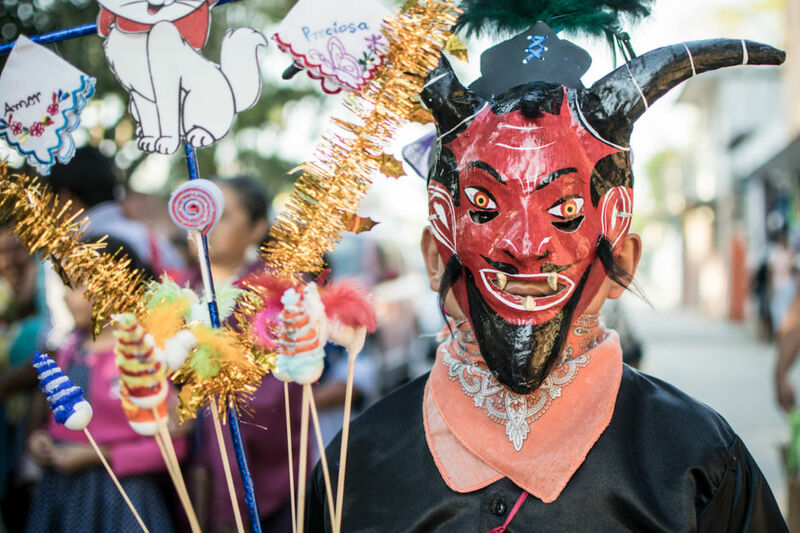 Wood carving, painting skills, and great imagination are required for the production of alebrijes, and these same skills are exploited to manufacture the costumes that set the town’s carnival apart from any other celebration in Mexico. 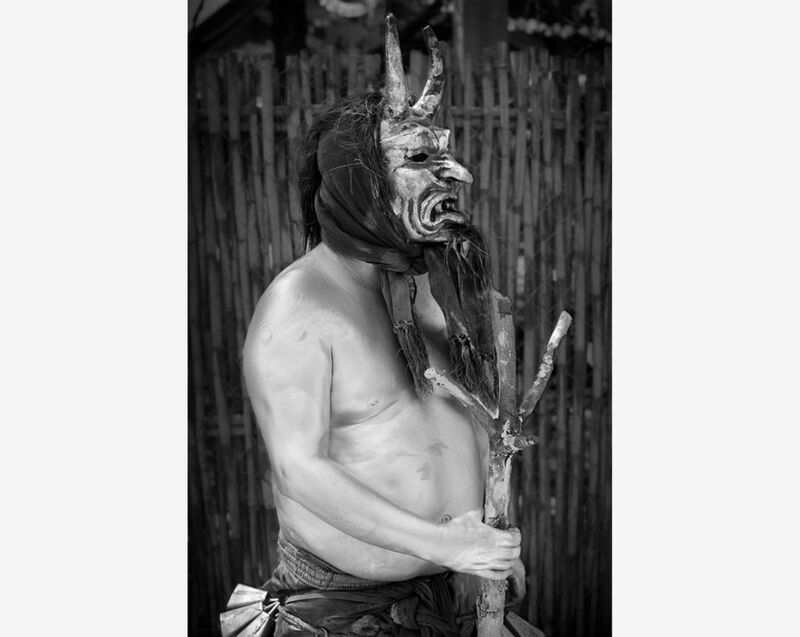 These are the photos I took during this year’s carnival. 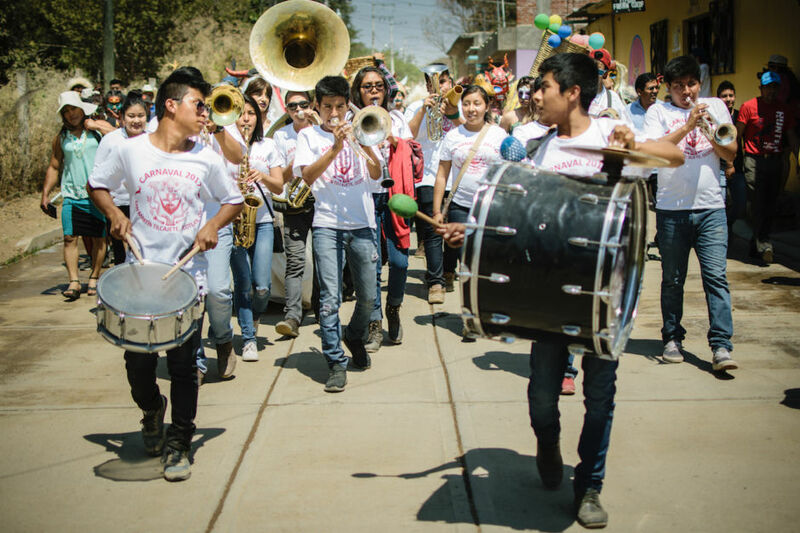 I hope they encourage you to visit this and other towns around Oaxaca and Mexico. 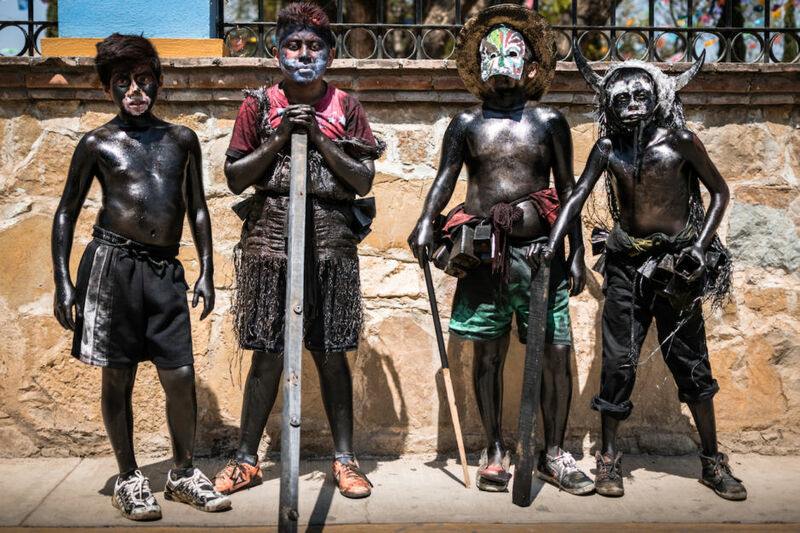 They call themselves aceitados (the oiled ones) because their body is completely covered in oil. They go around the town doing mischiefs and they are the most colorful part of the parade. Some of them have changed the oil for paint of different colors. Masks are made of carved wood by the town artisans. Many of the costumes are meticulously planned and their bearers have been perfecting them throughout the years. Improvisation plays a huge role in some of the costumes. Did you notice what this little aceitado’s helmet is made of? The bells around the waist are important for the costume. When you first set foot in town, the sound of these bells will be the first sign that something extraordinary is going on somewhere. 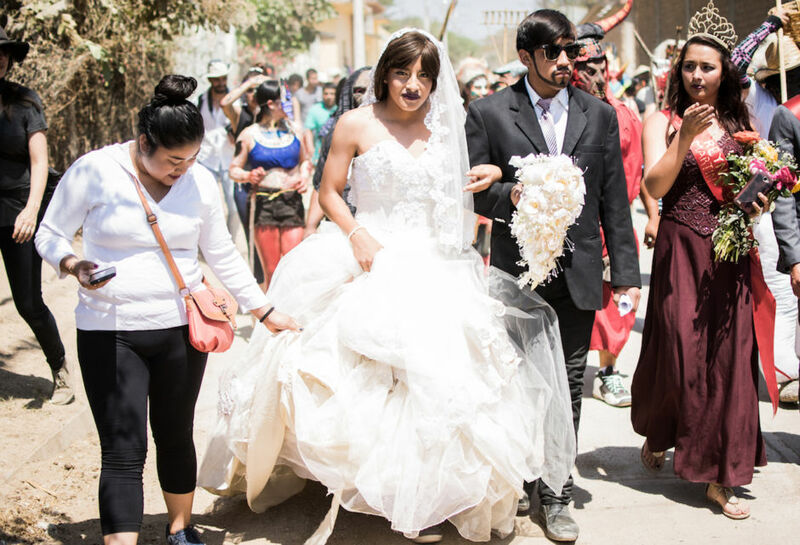 The parade revolts around a wedding parody with the participation of the community's youngster and some local authorities. All of these is a comic display that sets the tone of the whole event. Of course, the local band is present. 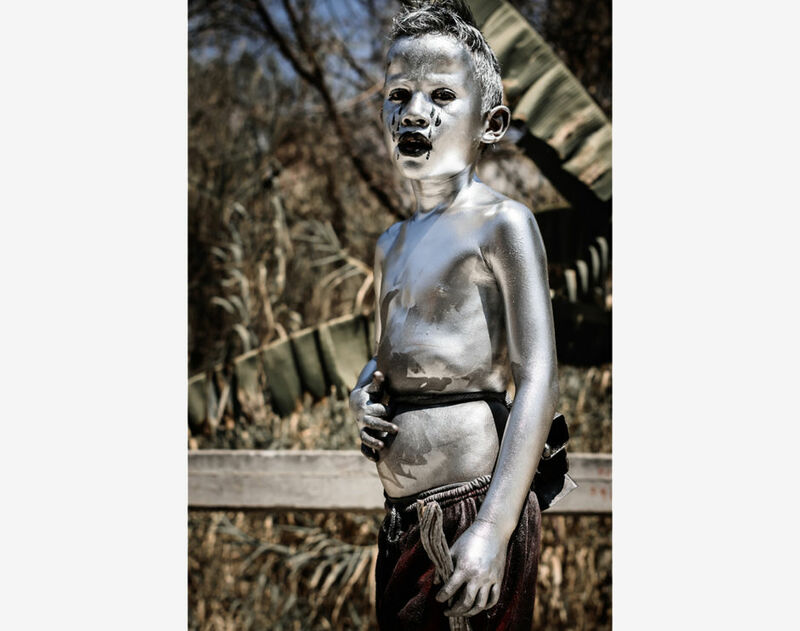 There are no strict guidelines for what kind of costumes people should be wearing. 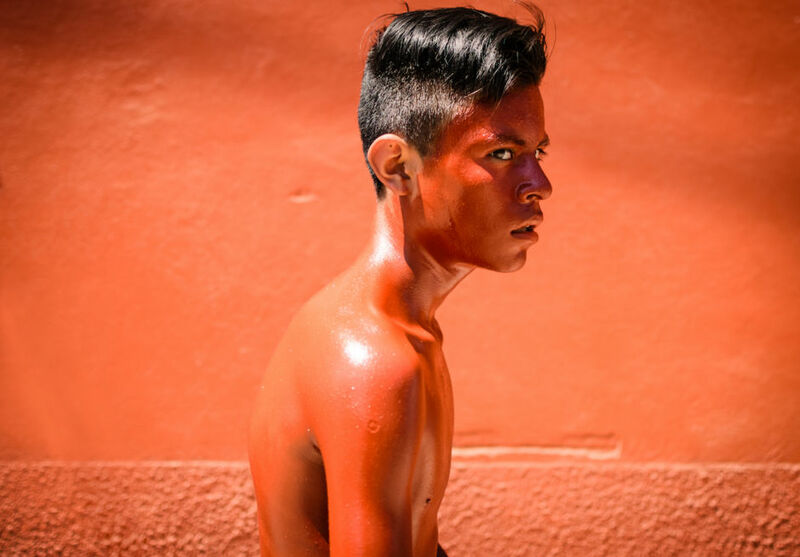 Some paint their faces with bright colors, some carve their own masks and some others even wear latex masks. The only constant: the brighter the better. And it is maintained as part of the town’s identity. Aceitados of all ages roam the streets. 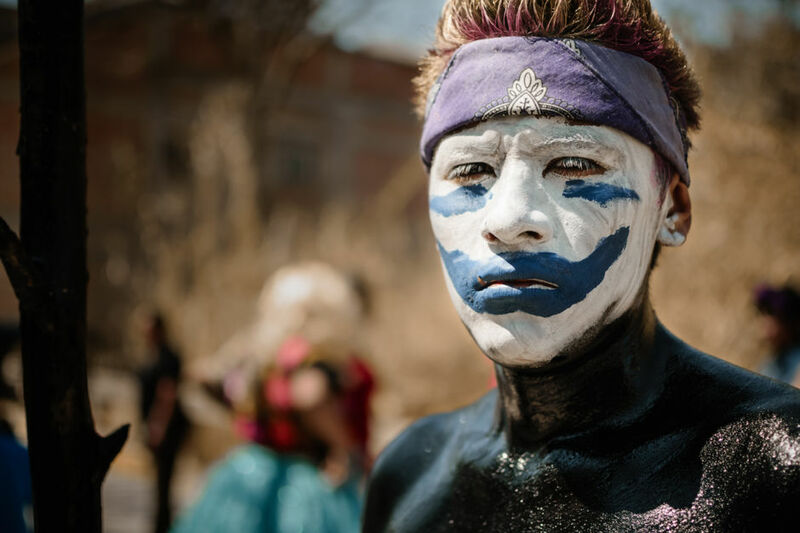 There are a few common elements, but most participants give their costumes their own unique touch. Hanging around the town plaza is quite a spectacle, but it can also be an invitation to receive an oily hug from one of this guys. 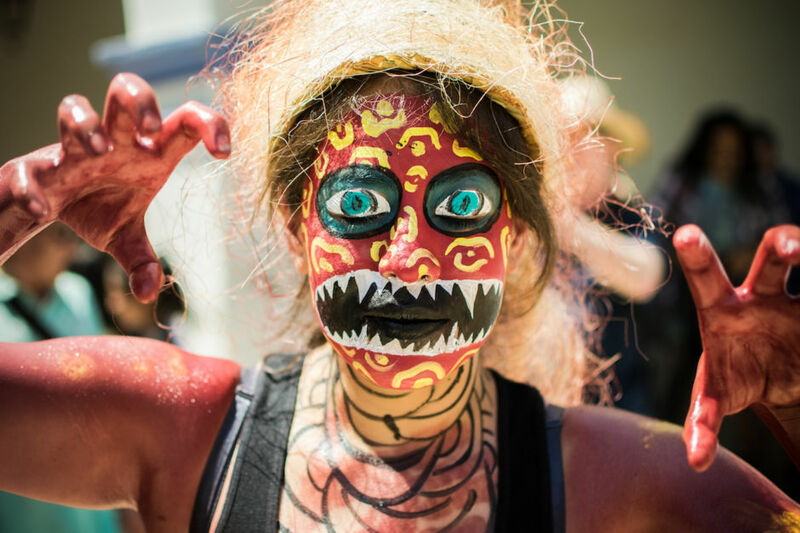 Some costumes draw a lot of inspiration from traditional alebrijes. Once the parade is over, everyone returns to the mayor’s house. Food and drink are freely distributed among the assistants, it doesn’t matter if you’re a local or a tourist. 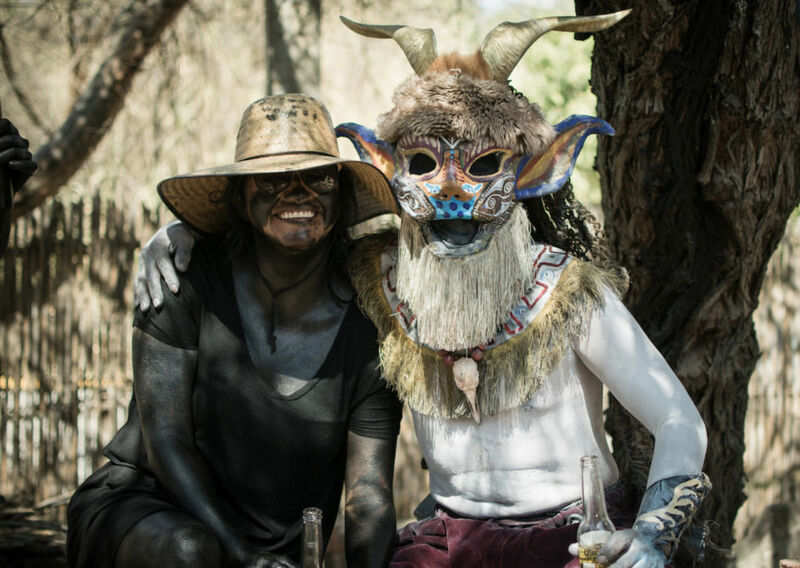 The parade’s monsters take a break from the midday sun and drink some mezcal and horchata while they wait for the food. The festivities continue for the whole day. 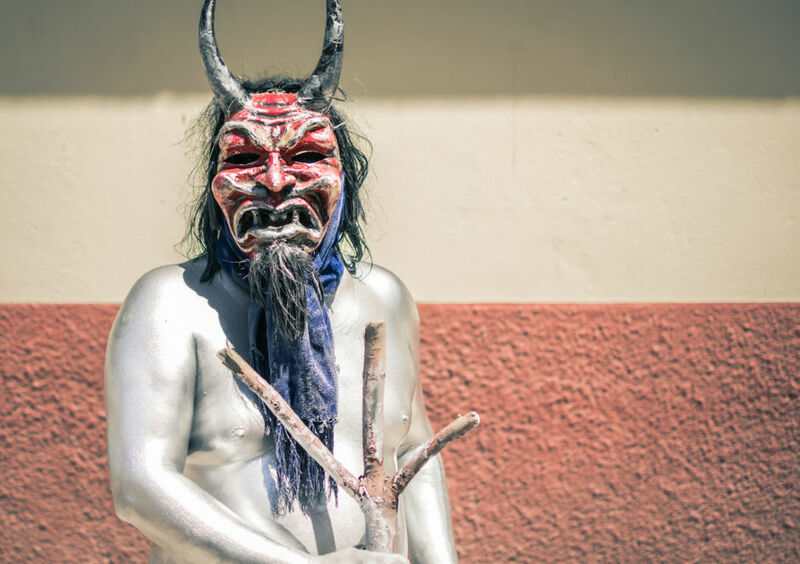 During the evening the town authorities organize a contest to reward the best costumes. After visiting San Martin Tilcajete, we made a little stop in Zaachila, halfway between San Martin and Oaxaca. A more traditional carnival was taking place here, but a picturesque one nevertheless. These are some photos for the second carnival of that day. 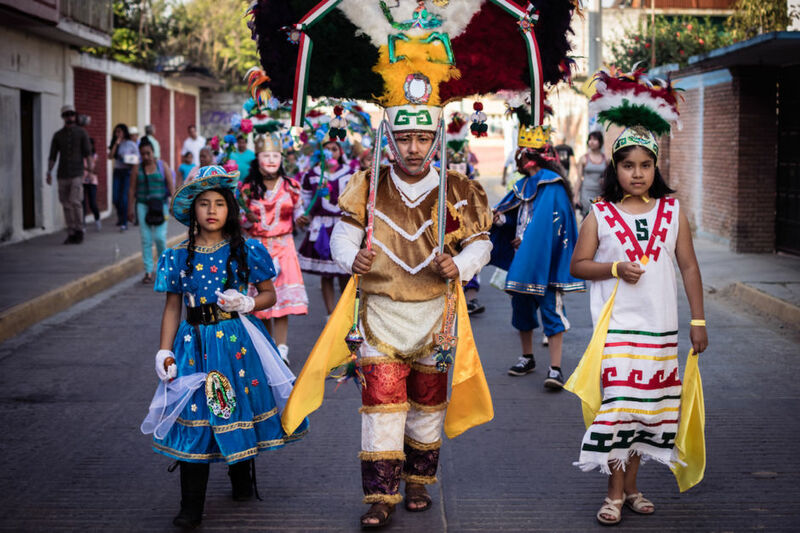 The Zaachila carnival begins in the Barrio del Niño. From here, a parade departs to the main square to get the festivities officially started. Adults and children participate in the parade. 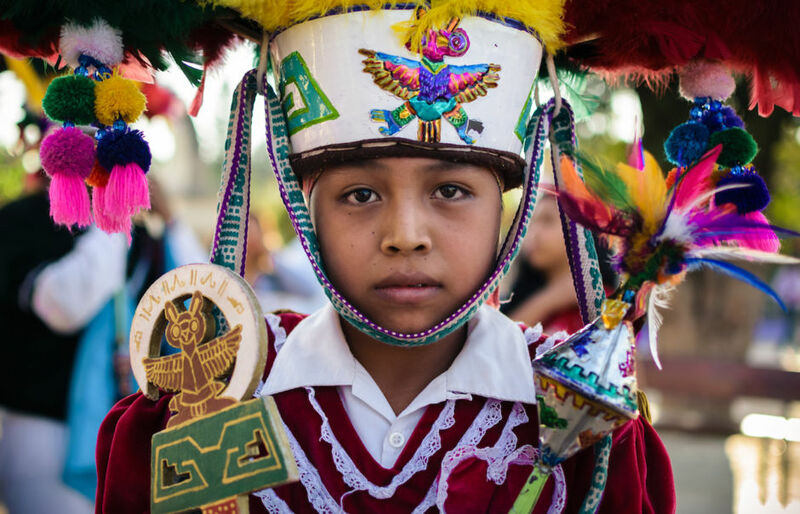 These are costumes used in the Danza de la Pluma (the feather dance), a traditional dance of Zapotec origin. 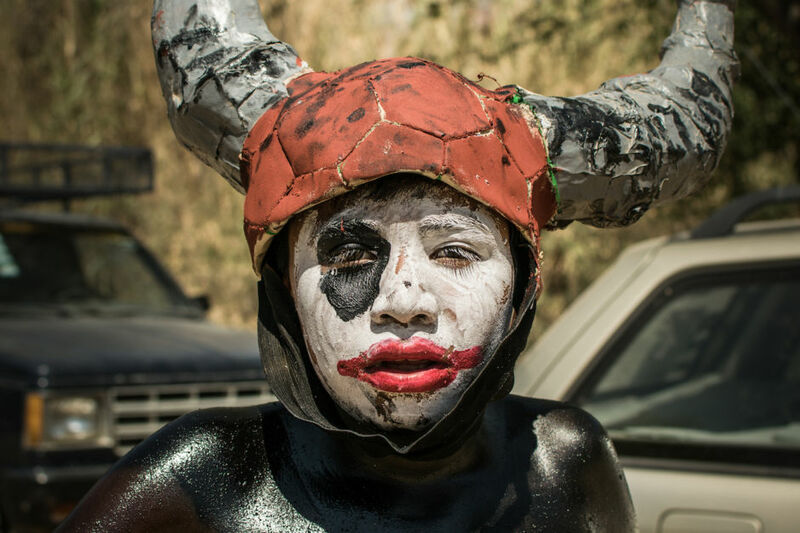 Small kids disguised as demons march with the parade. 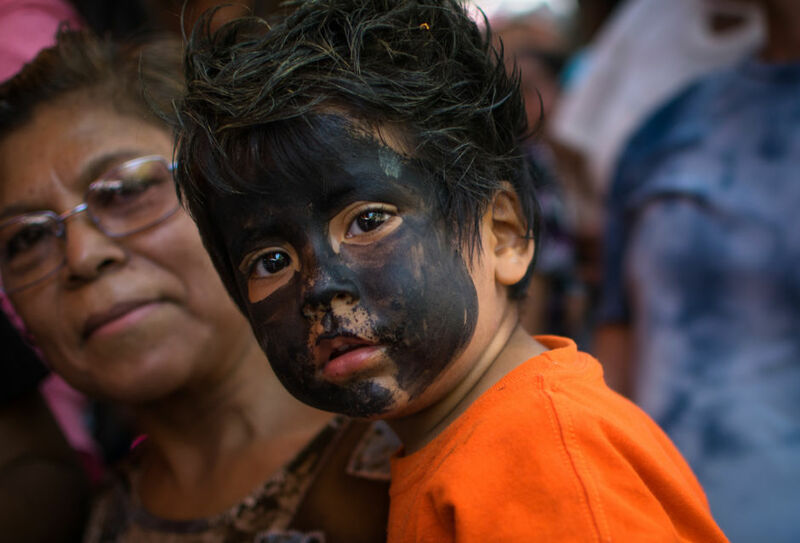 They carry flour filled eggs that will be used to terrorize every little girl that crosses their paths; they also carry a piece of embroidered cloth as a gift for that special girl. 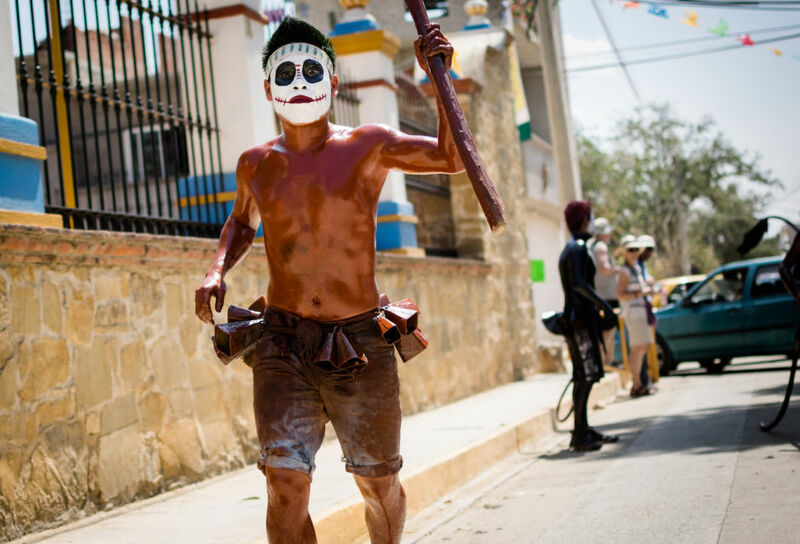 This parade just marks the beginning of the carnival in Zaachila. Unfortunately, I was here for just a couple hours so a complete essay will have to wait for next year.